Sohail, who was a part of Pakistan's touring team in South Africa, has claimed that he was under the spell of black magic and which is why he was forced to leave the tour after the first Test in Centurion. 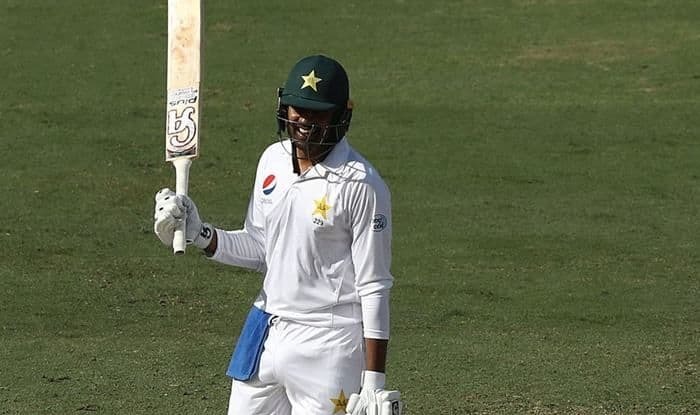 Pakistan’s top-order batsman Haris Sohail, who was part of the Test squad for the three-match series against South Africa has made some sensational revelations over his absence from the team after the first Test in Centurion. Sohail has claimed that he was under the ‘spell of black magic’ which is why he was forced to leave the South Africa tour after the first Test. This was precisely the reason why he was forced to leave the tour after the first Test recently and return to his country. According to the reports of Pakistan-based BOL News, Sohail was released to return to Pakistan after the first Test with his gradually worsening knee injury. “Haris first told the management before returning home about his fear, and then, instead of joining rehabilitation camp on return, he went to his hometown Sialkot, citing the same reason,” claimed BOL News report. Before returning home, the 30-year old had also shared his fear with the management. They, however, refrained from disclosing Haris’ claim to public, so as to not increase his mental stress. Further, after Haris returned from South Africa, he didn’t go to a rehabilitation camp, but headed straight to his hometown in Sialkot, citing that he was under black magic. Notably, this isn’t the first time Haris cited such superstitious reasons to return from a match. In 2015, during Pakistan’s tour of New Zealand, Sohail had changed his hotel room citing the presence of supernatural forces in his room. He had claimed that a ghost shook his bed in his Christchurch hotel room, which got him so spooked that he wanted to change rooms. Contrary to Haris’ claims, the official reports suggest the batsman was ruled out due to a knee injury. Pakistan are on the verge of a clean sweep in the ongoing three-match Test series against South Africa as they are trailing 2-0. Their former skipper Wasim Akram has, however, normalised their plight saying this is “not something new” for the team. Akram said that Pakistan have struggled in the South African conditions even when the team had legendary players. “I know the team is struggling but to be honest, Pakistan team always struggled in South Africa. Even during our times, we had so many legendary players but we used to struggle in conditions in South Africa. So this is not something new,” The Express Tribune quoted Akram, as saying.